Click 'My Serato' near the top right of the Serato DJ Pro interface. An online window will launch and request your email address. 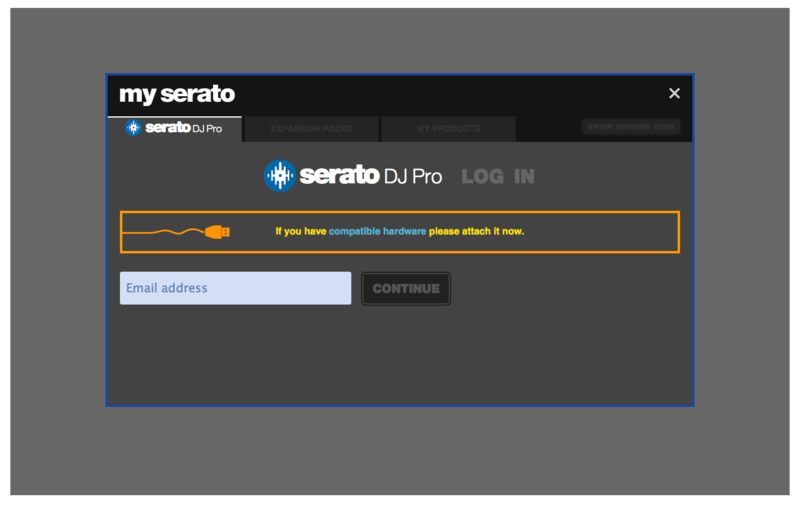 (If you have an existing serato.com or whitelabel.net user account, please use this login email and password.)	 ? Select the 'My Products' tab and click on 'Activate' under the Serato DJ Pro tile. NOTE: If you receive an error code when activating, please contact support@serato.com, provide as much detail as possible, including the email you purchased the license with, and the error code or any information you received.